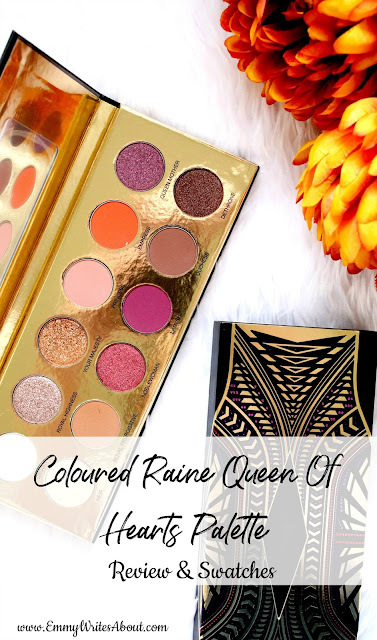 Have you ever wanted something so bad then it went out of stock.. this was me with the Coloured Raine Queen Of Hearts Eyeshadow Palette. I had wanted for so long but it wasn't available in the UK then Beauty Bay got it in stock but it went out stock. I have never wanted an eyeshadow palette as bad as I wanted this one but now I have it was it actually worth the wait? I managed to pick this up from Beauty Bay when they had 30% off for Black Friday but I was lucky as this deal started on the Monday and was site wide which Beauty Bay never do this. I was just browsing on the Monday and saw they had this palette from £45 to £31! I snapped it up straight away and didn't think twice. 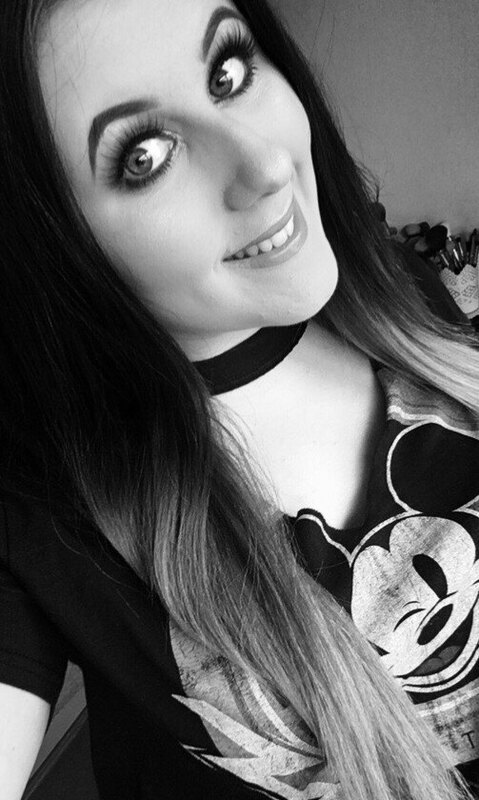 So glad I did as by Tuesday evening nobody could get on the Beauty Bay website as they had closed it until the next day then you had to queue and some people were in the queue for a few hours! When it arrived the palette was actually alot bigger than I was expecting which I was happy about. It comes in a sleek black case which had a slip over the top with an aztec design (as above). The palette comes in a sturdy cardboard and with a good size mirror inside. I was glad that the packaging around the actual shadows is a gold metallic so it won't get marked or messy. 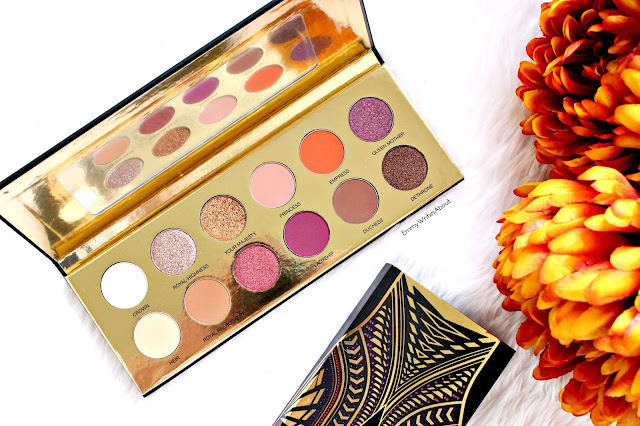 The palette consists of twelve eyeshadows with seven mattes and five foiled eyeshadows. I am extremely impressed with the formula of the shadows especially the foiled shades. 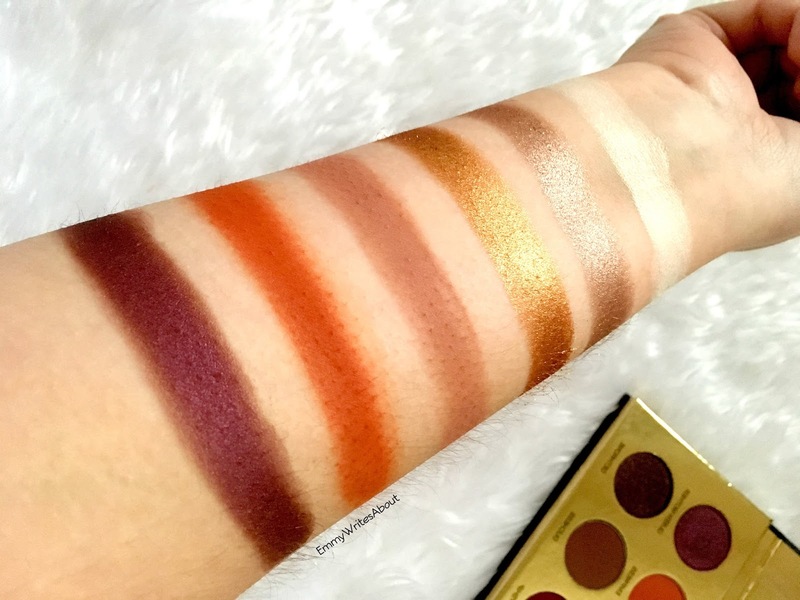 When the palette arrived I wanted to take my photos before swatching it properly so I barely even touched and I mean barely touched one of the foiled shades and the pigment was INSANE! No joke, I was in shock. The foiled shadows are beyond incredible and are the best foiled shadows I have tried. They are buttery and melt when you swatch them. 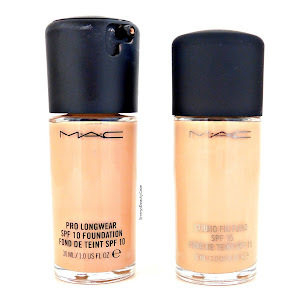 They are super easy to apply, I find using either your finger or a flat top rounded brush. I always spray my brush first with a setting spray as I find it helps them to apply better. These glide onto your eyes perfectly and are easy to work with. The mattes are extremely pigmented too although the shade Ladyship doesn't swatch well at all. All the other matte shades feel soft and swatch with such easy but Ladyship feels like a different formula, it feels alot more dry. I don't mind this as when you apply it to your eyes with a brush the colour applies beautifully. I sometimes find some matte shades in palettes don't always swatch well, especially if they are brighter colours. What I love most about the palette is how you can create basic neutral shades or you can add pops of colour and go more dramatic. 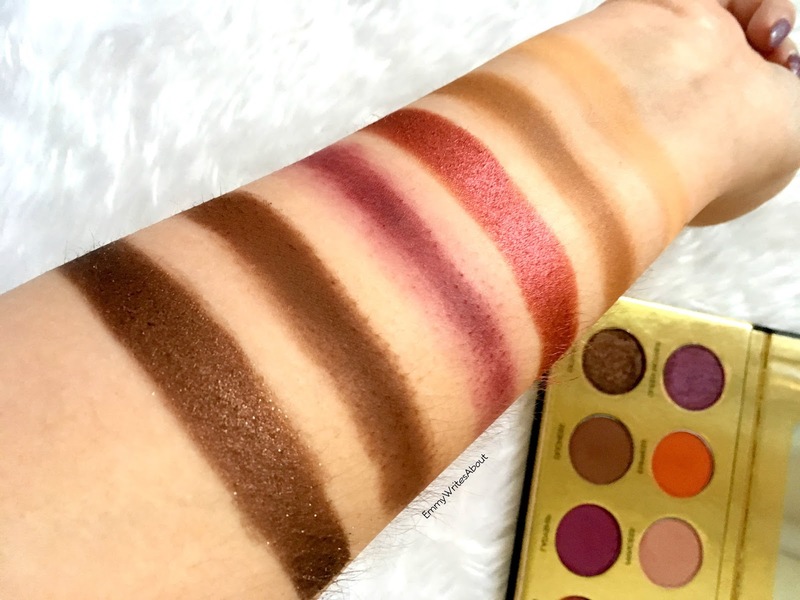 I have been using this palette non stop since it arrived and every time I use it I am impressed. Lasting Power - Now this is the best part. Whenever I use eyeshadows I always use a primer and shadows last ok, they don't stay the same till the end of the day but these ones do! I am especially amazed at how the foiled shades stay put all day and the pigmentation stays the same. 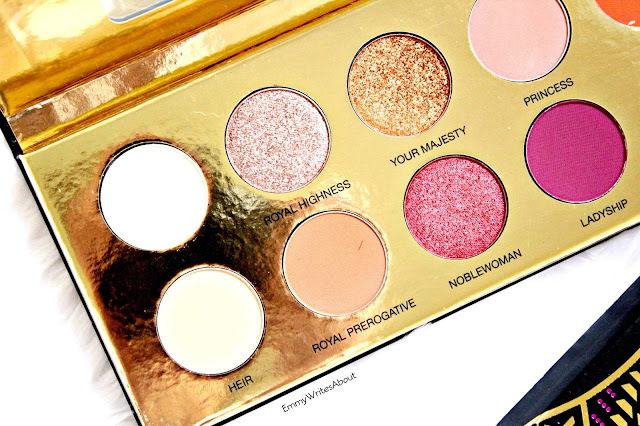 Overall YES the palette is worth it, I would have happily paid the full £45 for it. 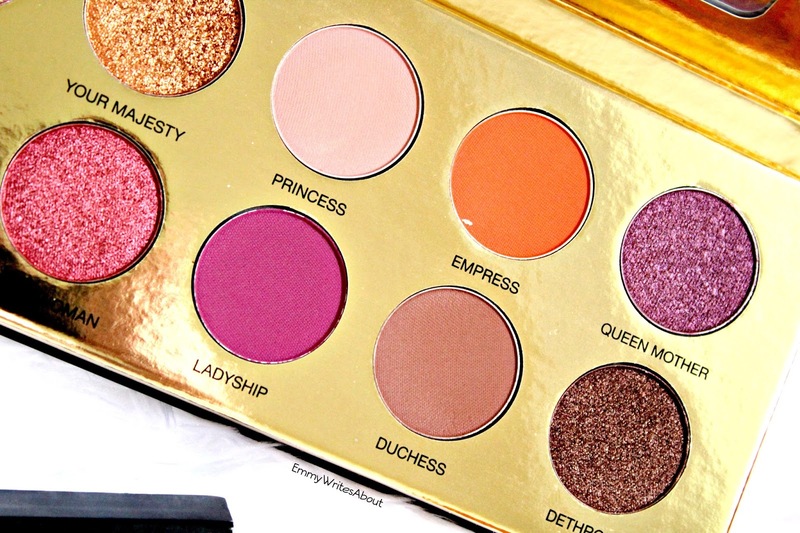 Everything about this eyeshadow palette is a stand out. It is still available from the Beauty Bay Website Here or directly from the Coloured Raine Website Here.